Home / Archive / featured / What next for BBC HD regions and iPlayer verification? 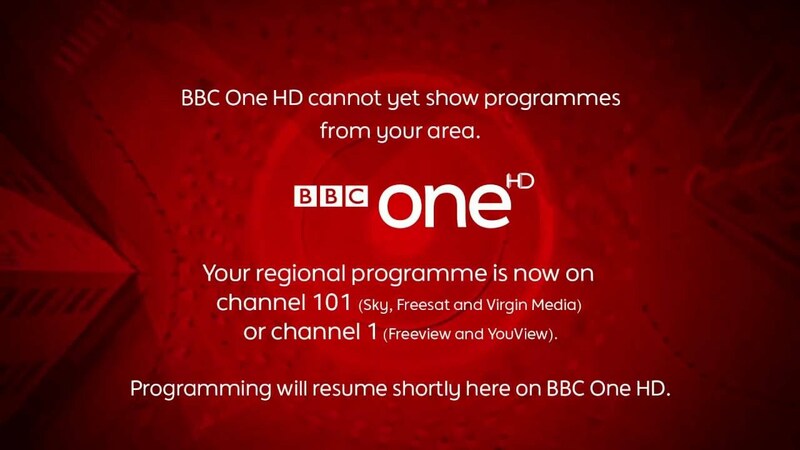 What next for BBC HD regions and iPlayer verification? The BBC has published its latest distribution strategy, covering HD regions, iPlayer licence fee payer verification and investment priorities. The strategy confirms the broadcaster is preparing for a future where "all content experiences" are delivered over the internet. Its new draft strategy says that given the increasing pace of change, "the BBC needs to prepare for that [internet-only] future to arrive early in the next Charter period", or in around 10 year's time. audience value they would deliver". In recent years, partially hampered by a licence fee freeze, the BBC has fallen behind numerous other public service broadcasters in Europe, including France, Germany, The Netherlands and the Republic of Ireland which now offer HD by default via at least one platform. Missing BBC One HD regions are frequent gripe among a sub-section of BBC One viewers in England, who have to switch to SD to watch regional programmes. While HD hasn't fully arrived at the BBC, as far as viewers are concerned, the broadcaster has confirmed its intention to shift spending away from older tech, or "deprioritise investment in technologies that it is confident will be superseded", in BBC-speak, a move which is to be done in "the context of an audience-led transition to internet-delivered services." This policy intent may pave the way for further reductions in AM radio services, an area where the BBC has started to lag behind similar broadcasters around the world. And the updated strategy also outlines options for the BBC to be able to ensure that the iPlayer can only be accessed by licence-fee payers. It says: "Options to implement verification against a licence fee database will be considered should it be necessary as the number of internet-only households increases. The BBC’s means of distribution must therefore support self-verification solutions and have sufficient flexibility to support full verification if introduced." Unlike the accompanying Distribution Policy, the BBC's latest Distribution Strategy is not up for public consultation, and comments about the above included in submissions will be deemed "out of scope." The full strategy document can be downloaded from the BBC website.